Well done everyone that got yesterday’s Macro Monday right. It was indeed a crocus. Although I tend to prefer the smaller Crocus chrysanthus and have an unfortunate tendency to think of the Dutch crocus as being a bit big and vulgar, I planted a good number of the big ‘uns last autumn but I restricted my planting to just the purple and lavender kinds. 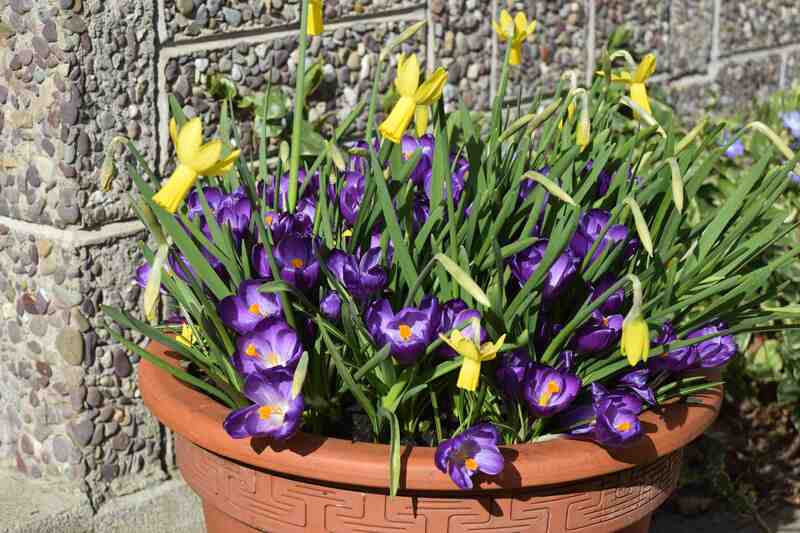 Most were planted in grass but I packed some into a couple of pots with some yellow violas and some ‘Rapture’ daffodils. I planted some of these daffs two years previously in grass and they have been brilliant so I had no problem packing them in with the crocus. 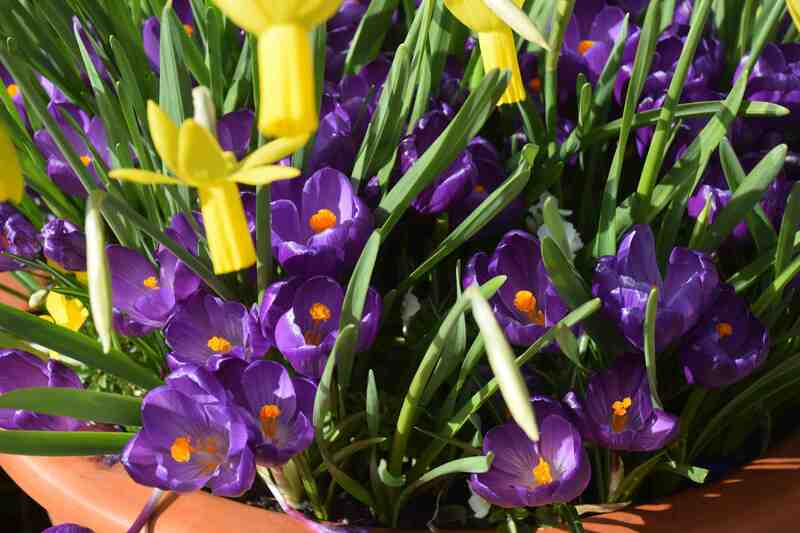 These crocus have a tendency to flop over and although each corm will produce two or three flowers, according to the size of the corm, they tend to open in succession so, in containers, you really have to pack them in or the effect shows how mean you were. And there is no need to skimp because they are pretty cheap and you can replant them in the garden as they die down and you fill the containers with summer plants. 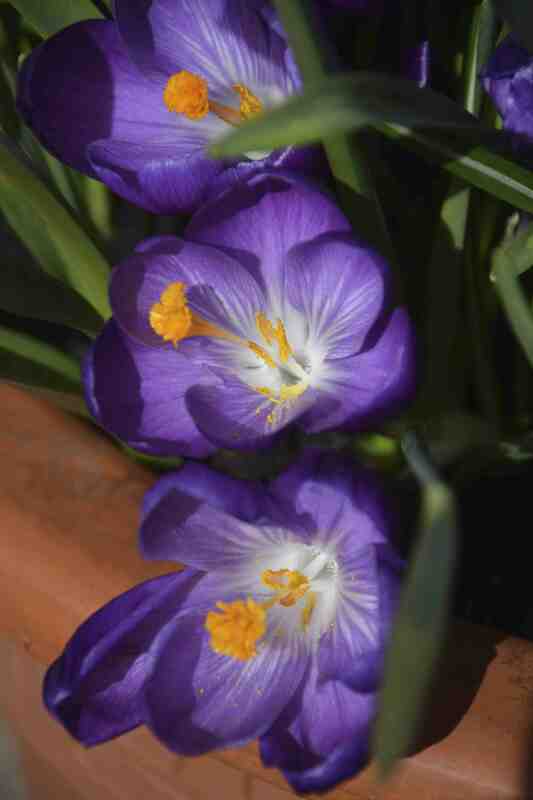 The crocus in the lawns have flowered well and, with luck, the display will get better every year. It goes without saying that I like the limited colour range and lack of yellows. On a more personal note, last week I gave a talk to the Bunclody Horticultural Society at Bunclody Library. I have given about a talk a year but this time it was a bit special. 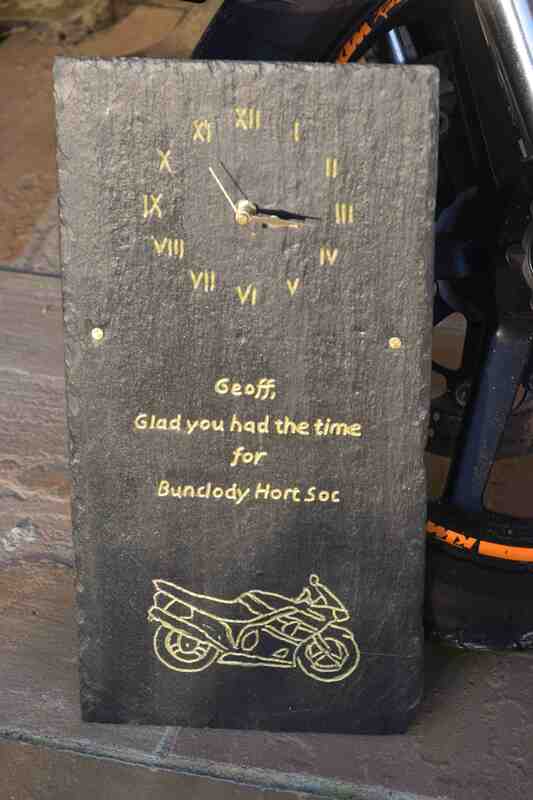 As my time here in Ireland draws to an end it was the last talk I will give and I was totally surprised when, at the end of the talk, I was presented with a lovely clock. I was told it was made with local slate but, since it was not raining, I was not sure if it was off the roof or not! It was a lovely gesture and a really personal gift and all the more surprising since I have judged their shows and, last year, the members’ gardens so it is a shock that anyone even talks to me any more! They are a very forgiving bunch. To everyone at the Society, my profound thanks. It was not actually goodbye since I hope to be able to go to their plant sale in Bunclody, in May. I rather like the shiny Dutch crocuses although I know Farrer called them ‘ fat, bloated things’ and Vita Sackville West didn’ t like them. They are not as pretty as the little ones; still they are a lovely sight en masse. 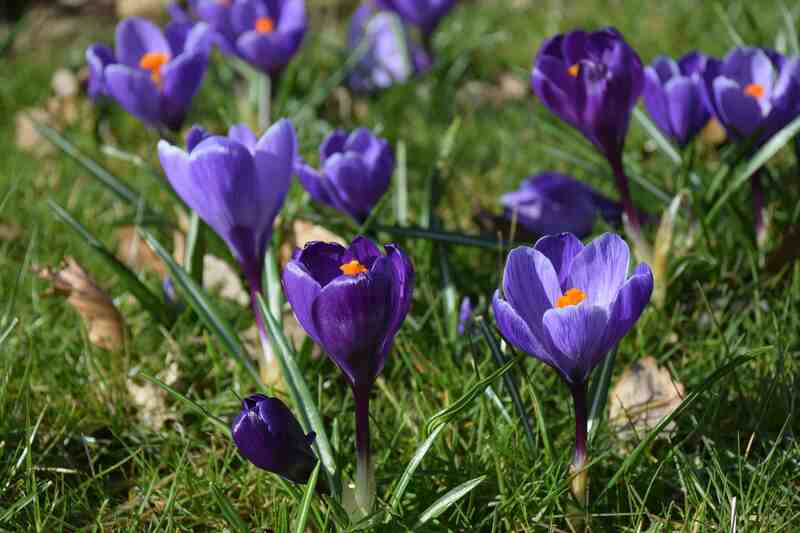 We visited Kilmacurragh and Mount Usher gardens yesterday and the crocus lawns in both gardens are fantastic. I hope we will see you return to Ireland to give talks over the next few years as I really enjoyed the talk you gave in Waterford.